The Best Fishing Magazines from thousands of Fishing Magazines on the web using search and social metrics. Subscribe to these websites because they are actively working to educate, inspire, and empower their readers with frequent updates and high-quality information. 2.2 Hatch Magazine | Fly Fishing, etc. Fishing Magazine newsletter is a comprehensive summary of the day's most important blog posts and news articles from the best Fishing Magazine websites on the web, and delivered to your email inbox each morning. To subscribe, simply provide us with your email address. About Blog In-Fisherman is the leading communicator in the fishing industry. In-Fisherman magazine is the flagship of the In-Fisherman communications network, and is recognized throughout the industry as the world’s finest multispecies freshwater fishing magazine. Facebook fans 140,514. Twitter followers n/a. 2. Hatch Magazine | Fly Fishing, etc. About Blog Hatch Magazine is an online magazine / site / blog / photoblog / etc dedicated to the sport of fly fishing. Facebook fans 45,133. Twitter followers 17,548. About Blog Fly Fisherman has been the leading magazine of fly fishing for more than 45 years. We bring you the best information on local and exotic destinations, tactics and techniques to help fly fishers of all skill levels catch more fish, new fly patterns from the world's best tiers, and the latest news on how we are preserving and restoring our precious fisheries. Facebook fans 26,739. Twitter followers 710. Big Bend of Florida About Blog Coastal Angler Magazine of the Big Bend is dedicated to providing its readers the best of up to date fishing reports and articles for the local angler. Spearfishing reports, News, Tips & Tricks, Events according regions. Facebook fans 58,031. Twitter followers 100. About Blog Online fly fishing magazine out of Africa. Destinations, in-depth profiles, stories, galleries, gear and more! Facebook fans 3,404. Twitter followers n/a. About Blog North America's #1 Digital Fishing Magazine, Fishing & Hunting News, Tips and Equipment. ODUMagazine.com is home to the most read and distributed digital fishing magazine in North America. The site also covers all types of fishing news, tips and equipment for bass, crappie, panfish, walleye, trout, salmon and much much more. Facebook fans n/a. Twitter followers 19,203. Cleveland, QLD About Blog Location reports & tips for fishing, boating, camping, kayaking, 4WDing in Queensland and Northern NSW. Facebook fans 43,096. Twitter followers n/a. Miami Beach, FL About Blog Tail Fly Fishing Magazine provides a voice for saltwater fly fishing culture in a bimonthly print publication. We focus on delivering the best photography, destination travel, reputable commentary and technical features from the saltwater fly fishing lifestyle. Facebook fans 21,588. Twitter followers 636. Bay Area, CA About Blog Bass Angler Magazine, a refreshingly different bass fishing magazine dedicated to helping anglers catch more bass and bringing awareness to the sport of bass fishing. Bass Angler Magazine provides anglers an array of bass fishing techniques, catching bass, bass tournaments, seasonal bass tactics. Facebook fans 101,920. Twitter followers 1,671. Sarasota, Fl About Blog Fishing Lido Key offers visiting anglers the opportunity to experience the great angling this area offers by taking out a Sarasota fishing charter. Facebook fans 1,761. Twitter followers 2,722. Facebook fans 209,201. Twitter followers 21,400. 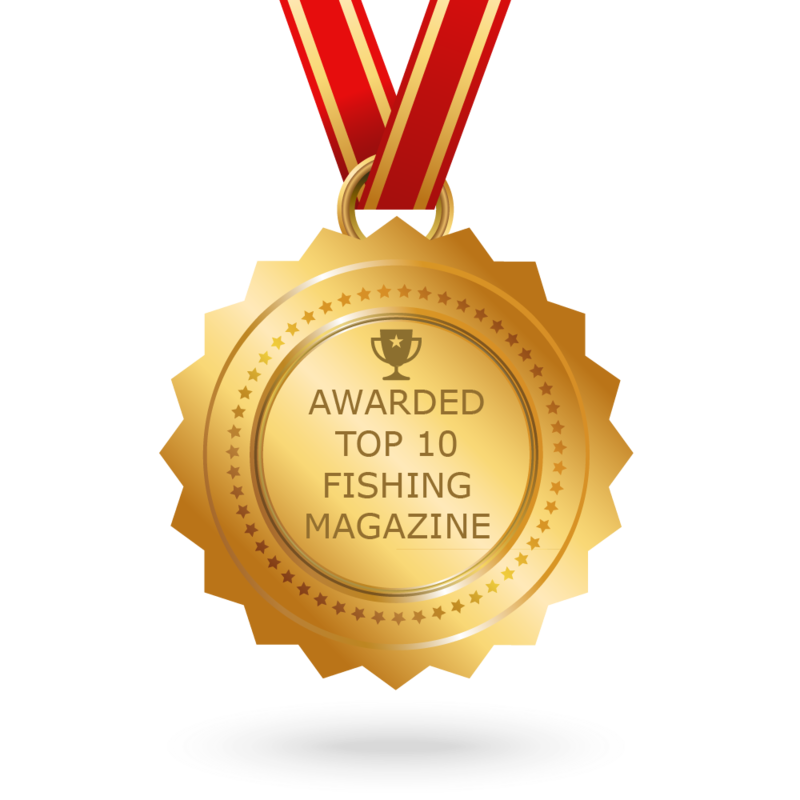 CONGRATULATIONS to every Magazine that has made this Top Fishing Magazines list! This is the most comprehensive list of best Fishing Magazines on the internet and I’m honoured to have you as part of this! I personally give you a high-five and want to thank you for your contribution to this world.